Beverly Jean Swanson was born in Wyandotte on September 23, 1930 to the late Harry and Esther (Elstrom) Swanson. Beverly graduated from Western Michigan University in 1952 and finished her graduate studies at MacMurray College in Jacksonville, Illinois. On June 27, 1953 she married Herman Cordes, Jr. He preceded her in death on March 6, 1995. She retired from Hillman Community Schools in 1985 and was the Montmorency Township Clerk for 14 years. 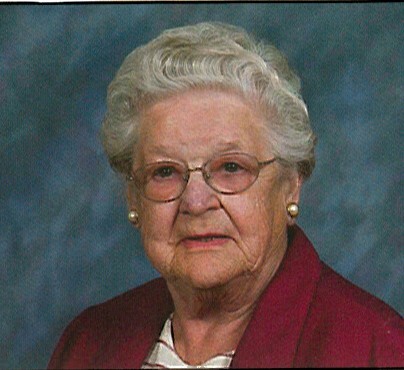 Bev was a member of St. John Lutheran Church – Royston, it’s Ladies Aide, VFW Ladies Auxiliary, and Hillman Senior Citizens. Surviving are 5 children, Richard and Linda Cordes, Deborah and Kevin Mahar, Robert and Judy Cordes, Gary and Julia Cordes, Scott and Diane Cordes; 16 grandchildren; 25 great grandchildren; and sister, Darlene Hurd. Mrs. Cordes was preceded in death by a grandson; a great granddaughter; and a brother in law Ronald Hurd. Visitation will take place on Monday at St. John Lutheran Church in Royston from 2-8 p.m. and will continue Tuesday from 10 a.m. until the time of the funeral service at 11 a.m. with Rev. Jason Mandley officiating. Arrangements are being handled by the Bannan Funeral Home in Hillman.